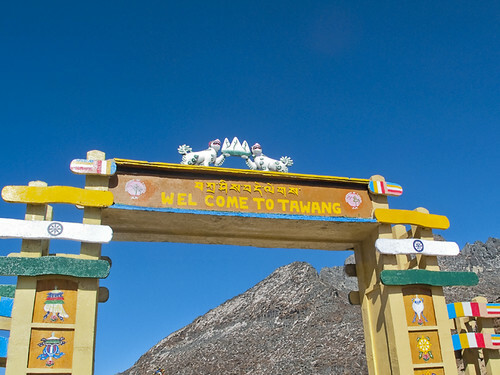 Welcome to Tawang, the iconic gate along Sela Pass as you enter Tawang district photographed by Frans Devriese. Tawang district of Arunachal Pradesh is a beautiful picturesque town located about 10,000 ft above MSL. Tawang is one of the hottest tourist destinations of the north region and known for its amazing natural beauty full of pristine lakes, picturesque landscapes, and snow clad mountains. The magnificent Tawang Monastery which is located on the western part of Tawang is the largest Buddhist monastery in country and the second largest in Asia. It is believed that the name of the town, Tawang, was derived from this ancient monastery.